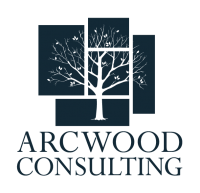 Arcwood Consulting is a specialist in assisting employers with Group Retirement, Benefit and Human Resource related functions. Our highly dedicated, knowledgeable professionals bring more than 75 years’ expertise to our clients. We provide effective solutions and tools to implement and remain compliant with federal and state laws. We take pride in what we do, and it shows. Our average client has been with us for over 10 years; we are your forever consultant. We were founded as Sunwest Benefits Consulting Inc. in 2002, changing our name in 2018 to better represent our strength of expertise in our disciplines. We consistently succeed in developing strategic plans with systems to improve efficiencies and compliance. Our team holds CFP, CFhC, AIF, HIPAA, ACA and other inductry certifications and lincenses. Understanding how to manage your employee benefit programs can be overwhelming but it is an integral function of any successful employer. Our team of professionals are available to help you create best practices, provide tools needed to succeed and assist in keeping you compliant giving you peace of mind your employee needs are being met. Retirement Consutling services are perform through Arcwood Financial LLC, offering securities through UNITED PLANNERS FINANCIAL SERVICES Member: FINRA SIPC. Advisory Services offered through Arcwood Financial LLC. a registered Investment Advisory Firm. Arcwood Financial LLC. and United Planners are independent companies and are not affiliated. Your message has been successfully sent to Arcwood Consulting, Inc.